This article was originally published August 8, 2017 and updated in October 2018. 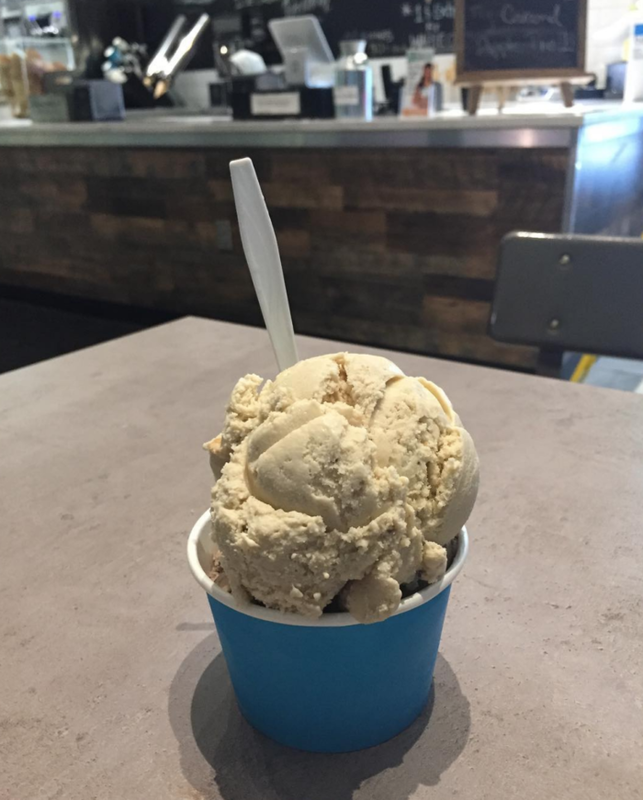 Looking for Charlotte’s best ice cream? 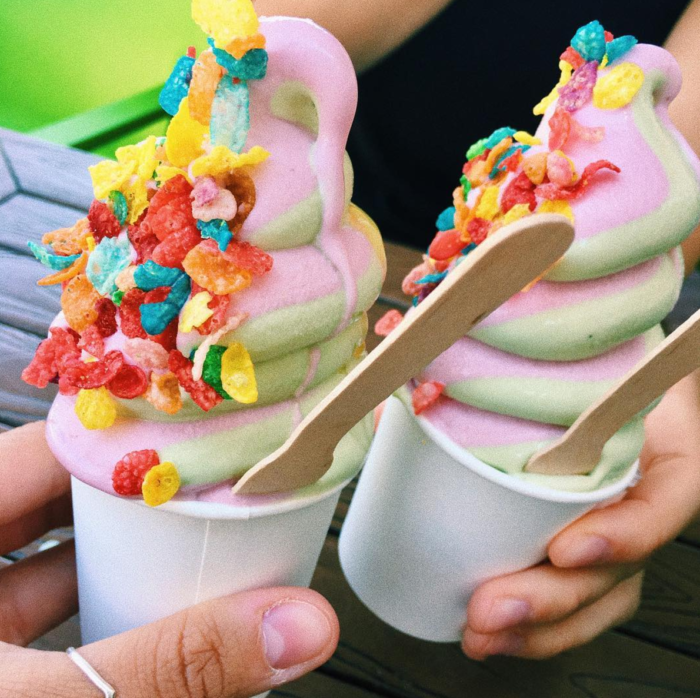 We’ve got you covered with everything from classic hand-dipped scoops and swirly soft serve to over-the-top trendy treats and popular restaurant desserts. 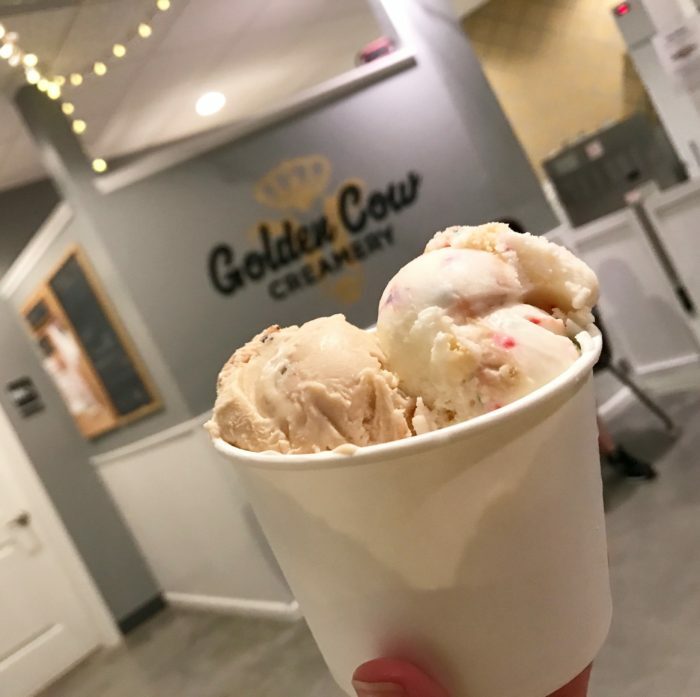 Golden Cow Creamery – Small batch, handcrafted flavors rotate out regularly, but house favorites like Dunkaroos and Salted Oreo are always available. Try an ice cream flight with four generous scoops for $6 or an ice cream sandwich made with Suarez Bakery cookies. 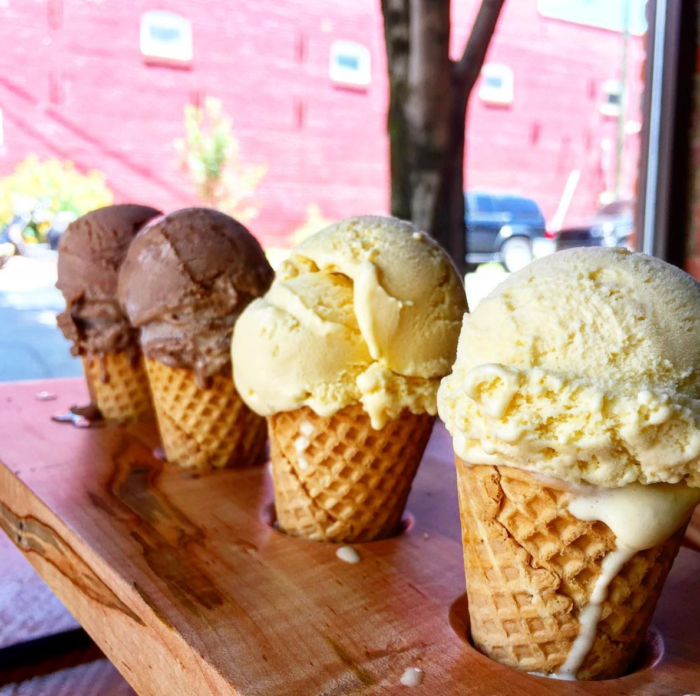 Two Scoops Creamery – They’re known for inventive feature flavors, artistic murals and, appropriately enough, the iconic dual top cone. 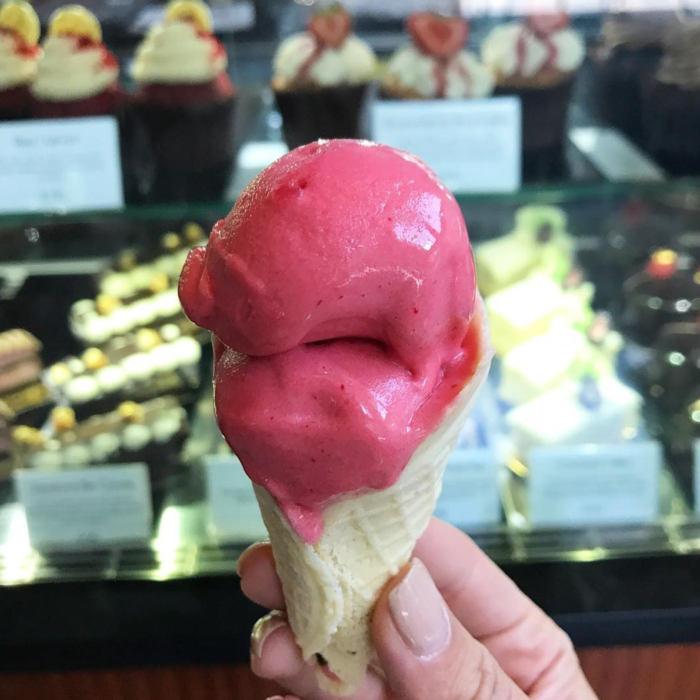 Elizabeth Creamery – This tiny little shop — not much bigger than the ice cream counter itself — is a Charlotte classic located steps from the Gold Line trolley. Your visit didn’t happen if you don’t take a photo with the sign. 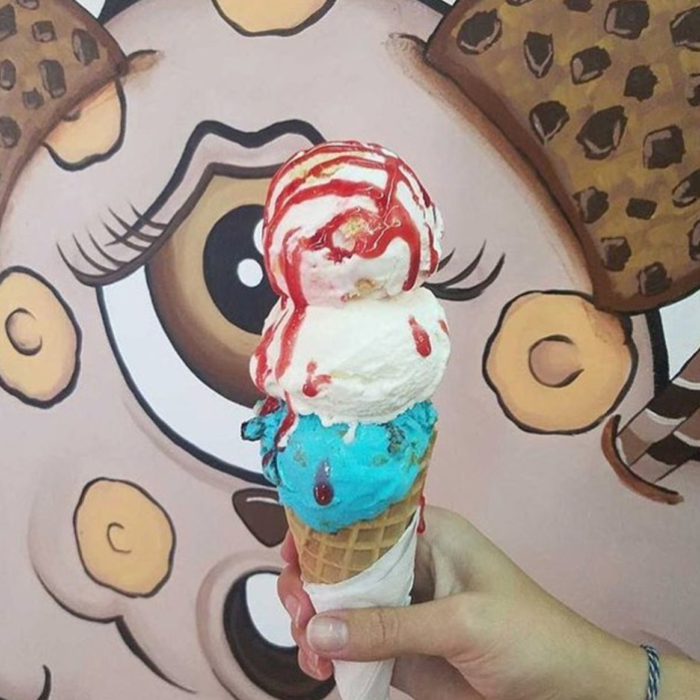 La Michoacana – The place to be for Mexican-style ice cream in unique, hard-to-find flavors, tropical fruit-filled paletas and more. 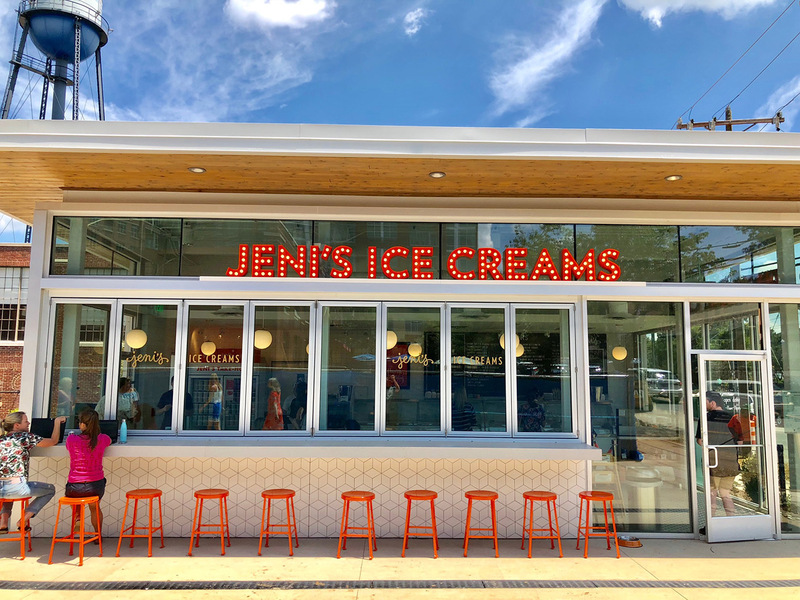 Jeni’s Splendid Ice Creams – The Ohio-based gourmet ice cream brand with a cult following often has a line down the block. 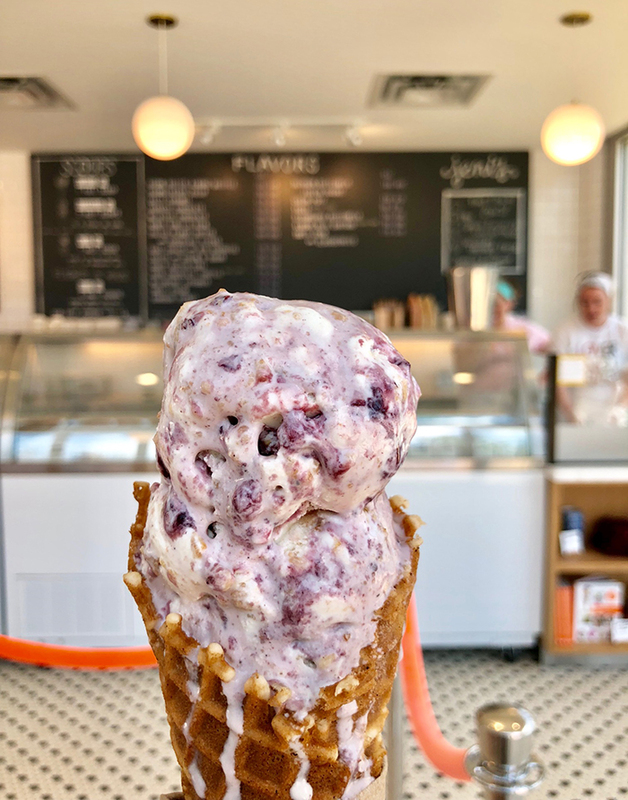 The Local Scoop – This Ballantyne shop sources ingredients from local farms and artisan producers. Even the rootbeer for their floats comes from Mooresville. 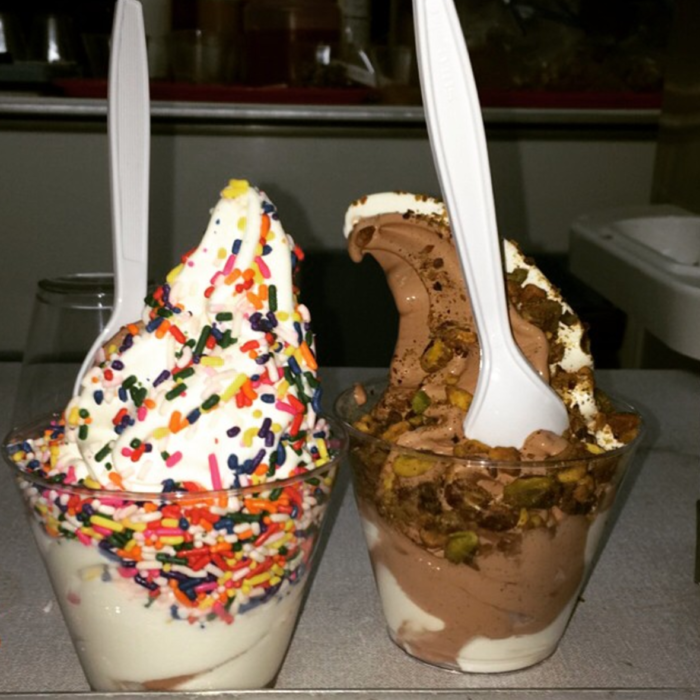 They’ve got 16 hard-serve flavors, 8 non-dairy options and 2 soft-serve gelatos. 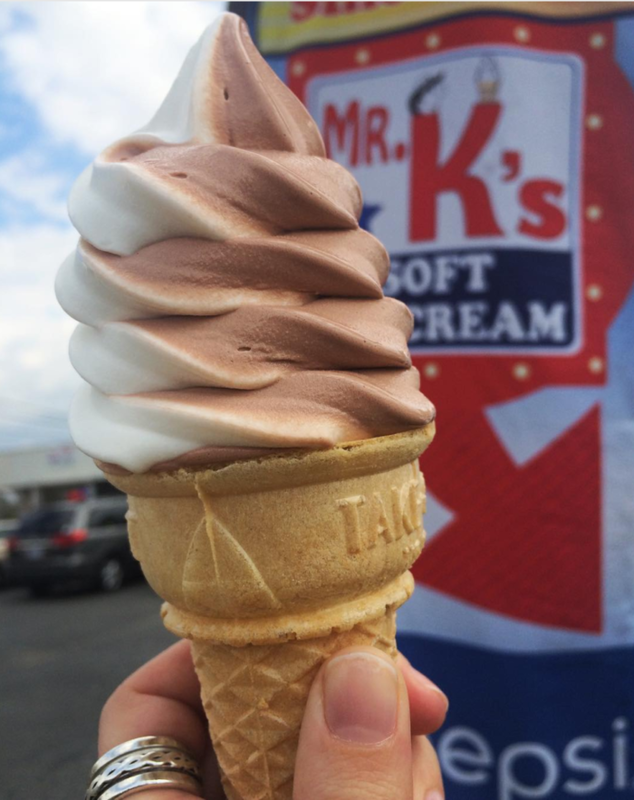 Mr. K’s Soft Ice Cream – The throwback soda shop with budget-friendly burgers and dogs has been serving Charlotte since 1967. Dairy Queen – Put down your locally made pitchforks. 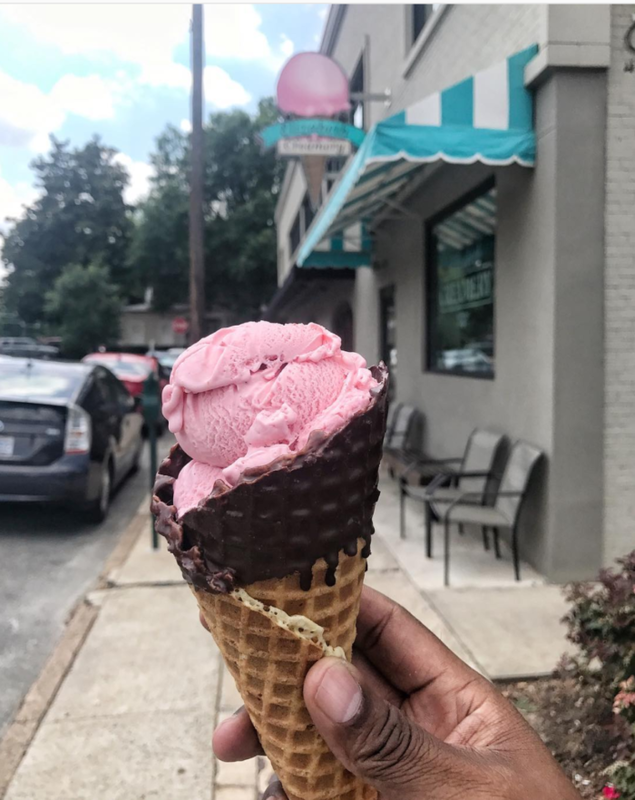 This monster franchise makes the local ice cream list for its two retro-cool walkup locations on Wilkinson Boulevard and Central Avenue, which have been in Charlotte since 1947 and 1951, respectively. 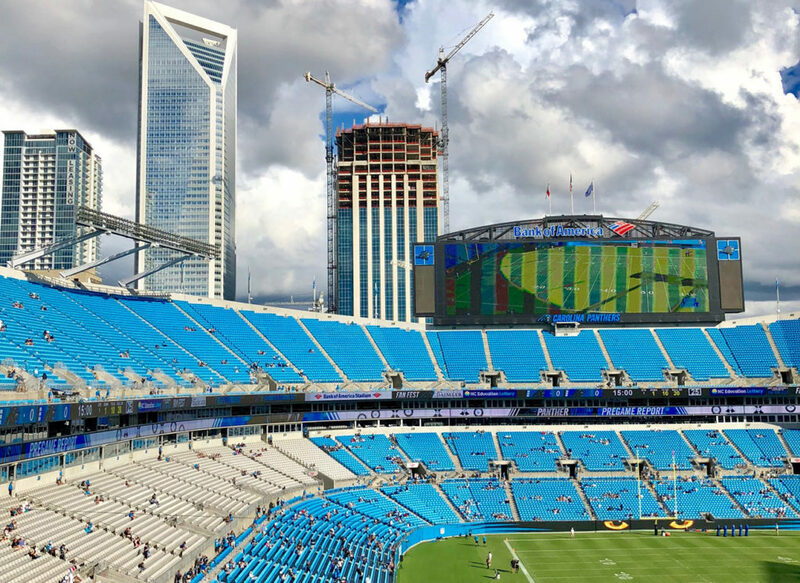 Their historic significance is well documented by the Charlotte-Mecklenburg Historic Landmarks Committee here and here. Sticks and Cones Ice Cream Truck – There’s just something about ice cream served out of a suped-up Chevy Express van. Catch it at events and food truck rallies throughout greater Charlotte. Follow along on Facebook for schedule updates. 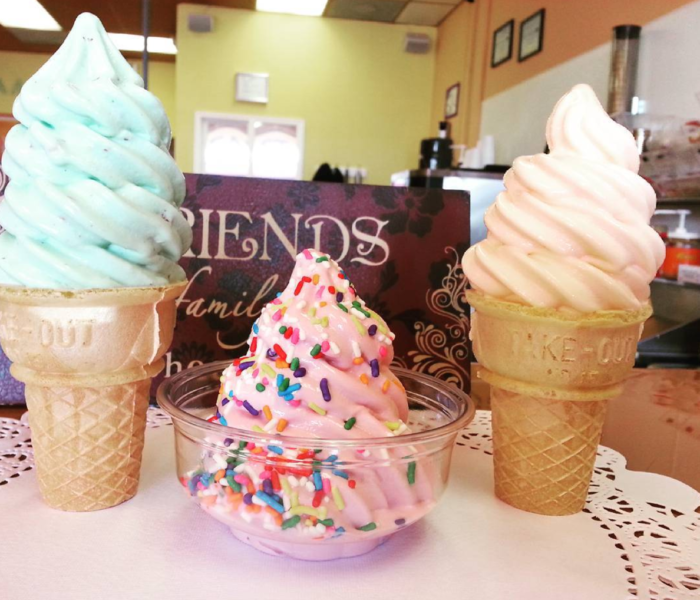 Coffee Cone Cafe – There’s a little something for everyone at this combo espresso bar and ice cream shop. 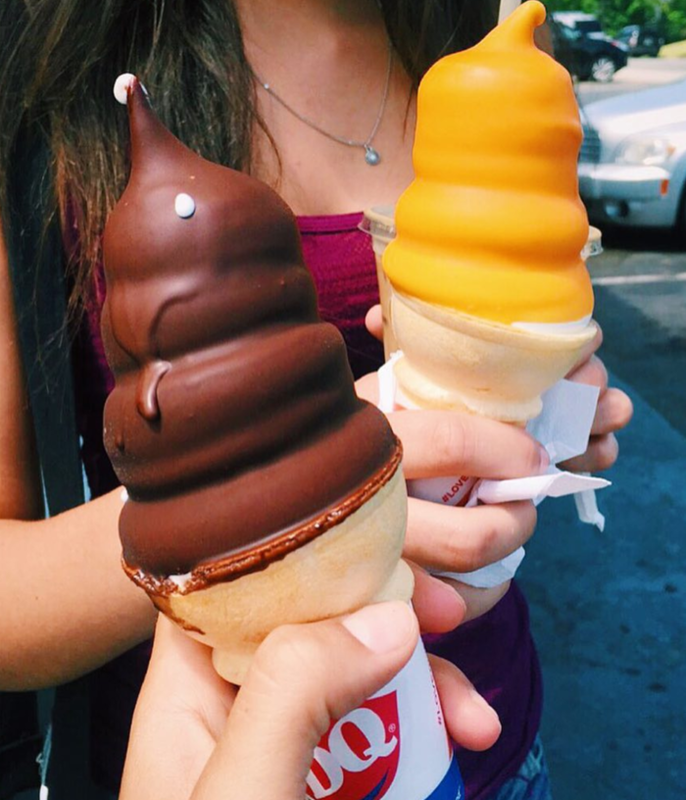 In addition to traditional flavors, they’ve also got dairy-free “paleo inspired” soft serve options. Come fall, you can even get a pumpkin spice affogato — seasonal spiced espresso over soft serve ice cream. 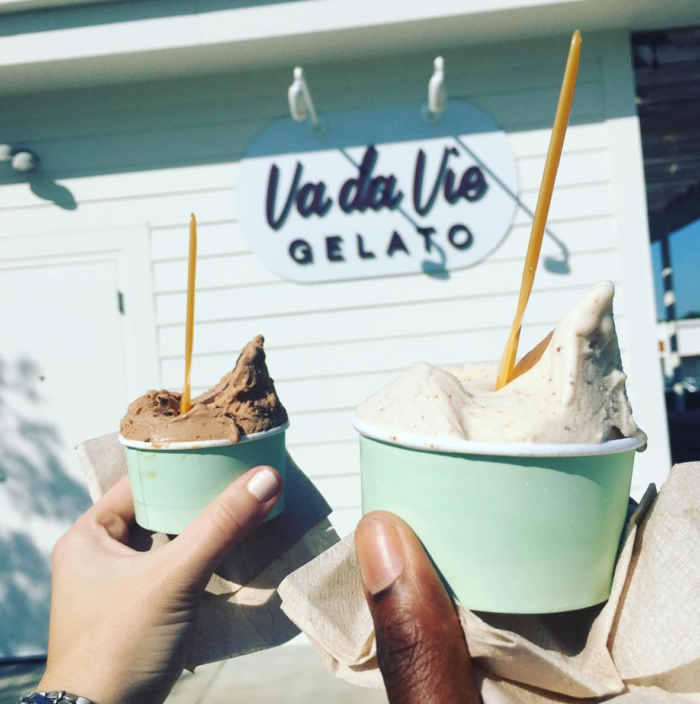 Va da Vie Gelato – This adorable gelato shop beckons from the middle of the parking lot at Park Road Shopping Center like a sweet treat oasis. After fighting through the center’s inevitable line of traffic just to get a parking spot, you’ve earned a little gelato. Bar Cocoa – The on-site dessert bar at the Ritz-Carlton is known for elegant chocolates, creative macaron flavors and housemade gelato. They’ve got outdoor seating or you could hang around and enjoy your treat fireside in the luxe lobby. 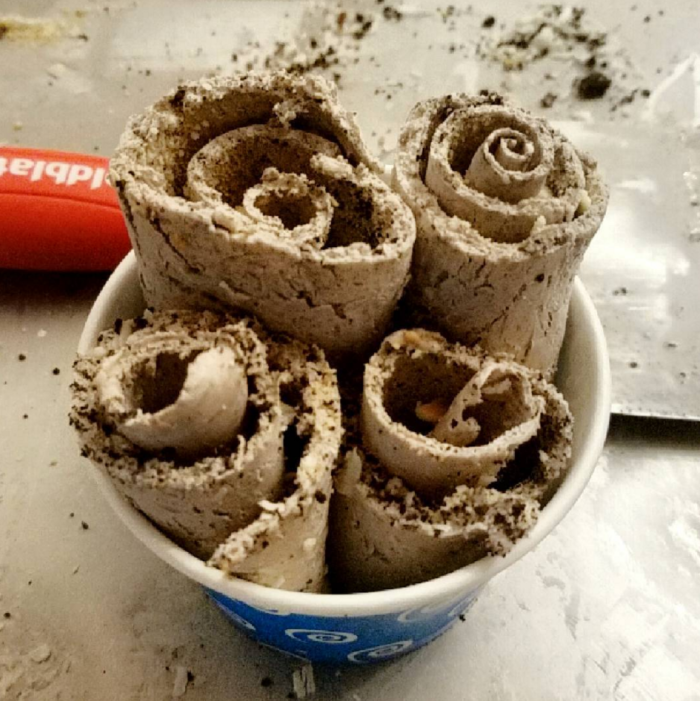 Jolly Rolls – Here, ice cream is spread thin on a frozen slab and then scraped into neat little compact rolls. 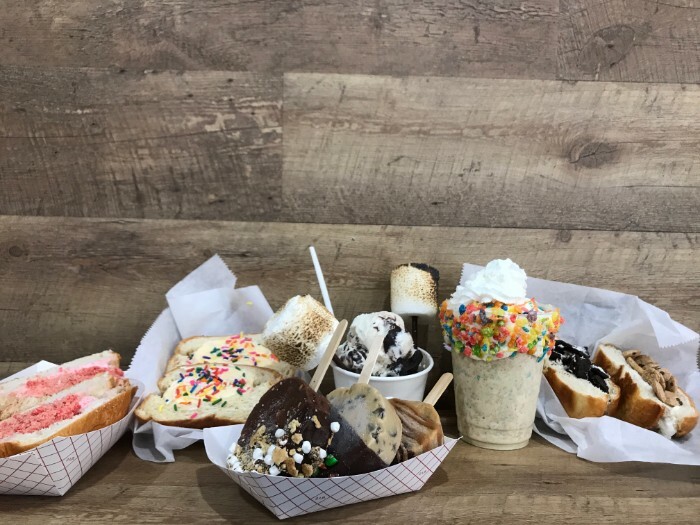 Ninety’s – The family-run shop in University is known for its over-the-top ice cream creations, like giant macaron ice cream sandwiches, elaborate cereal milkshakes and Yum-ee Buns (sweet bread stuffed with ice cream). 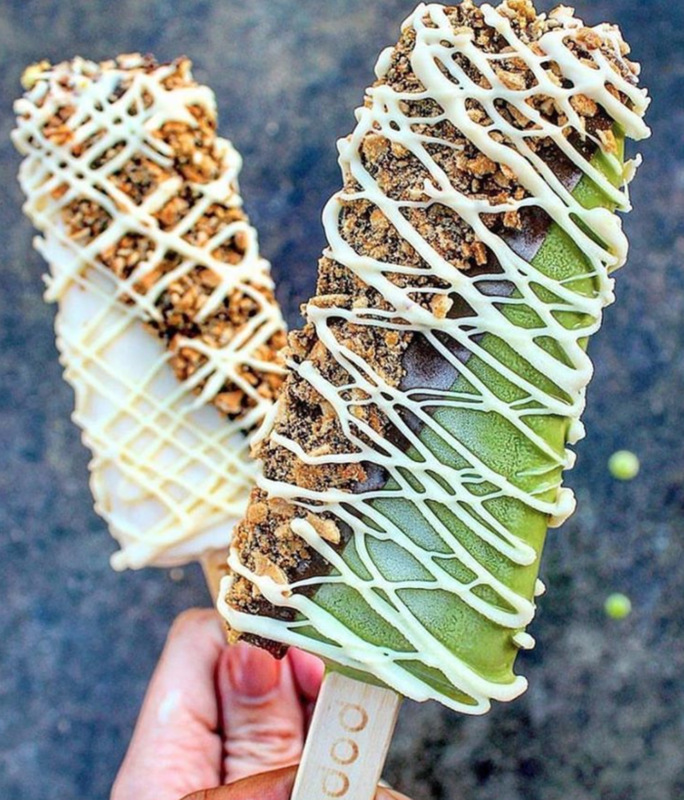 Popbar – For a portable, on-the-go gelato option, head to Popbar on NoDa for gelato on a stick. 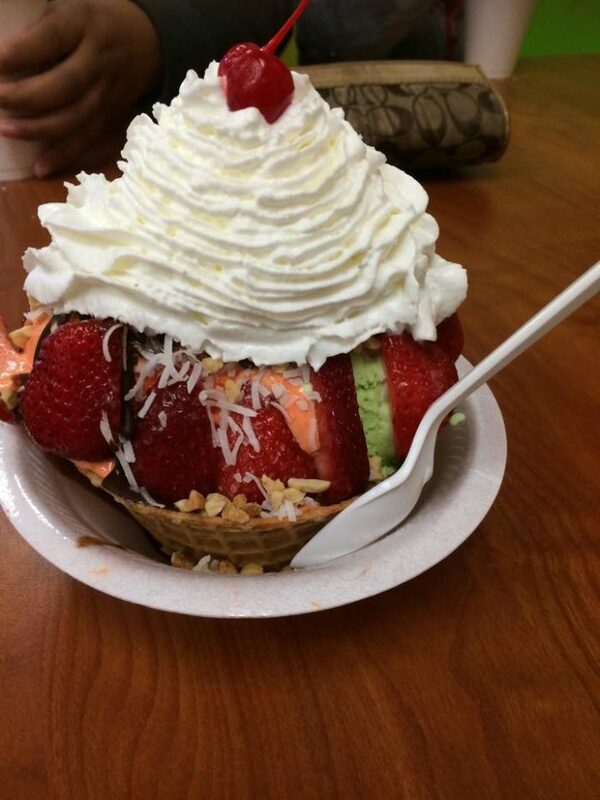 You can get it dipped in chocolate and toppings like nuts, coconut flakes, sprinkles and waffle cone chunks. 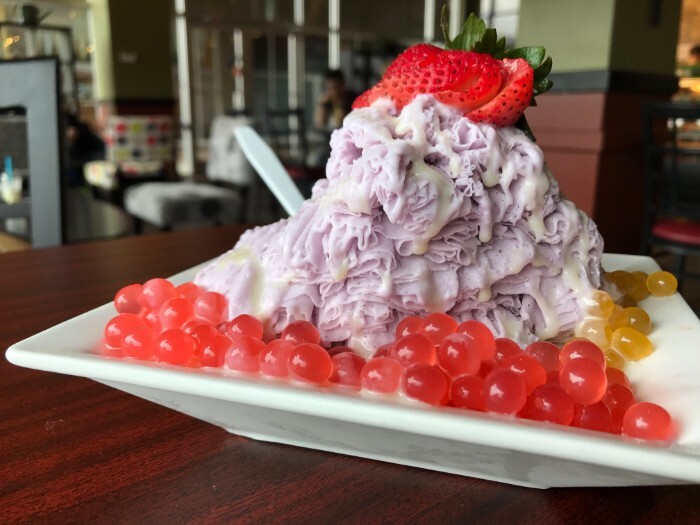 Tea Fusion Cafe – Try the shaved ice cream — a mound of delicate ice cream ribbons topped with jellies, popping pearls, mochi, beans or taro chunks. Taro is the most popular flavor. 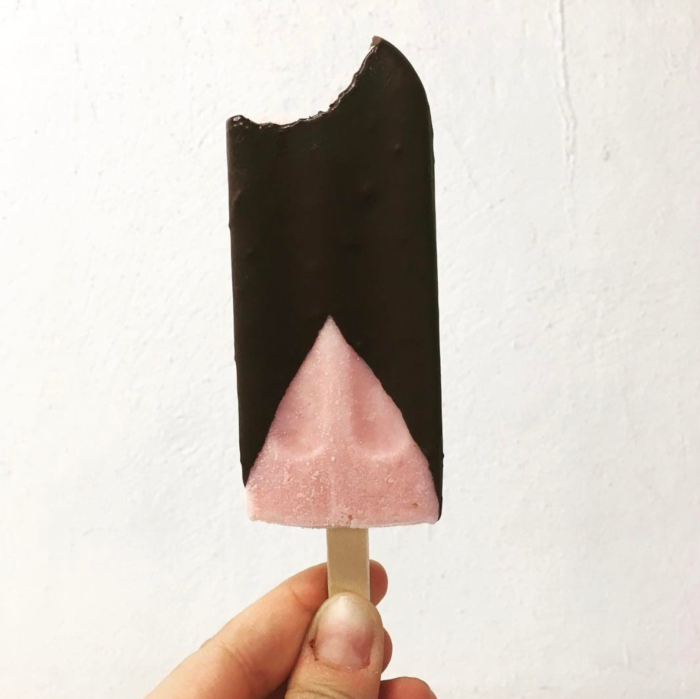 King of Pops – Ok ok, a popsicle isn’t ice cream but their cream-based pops — with flavors like cookies and cream, salted caramel and and chocolate sea salt — sound (and taste) a whole lot like ice cream on a stick to me. Not to mention, you can get get them dipped in chocolate at the pop shop. Futo Buta – This ramen joint whips up inventive specialty soft serve feature flavors that are the perfect finish to a steaming hot bowl of noodles. 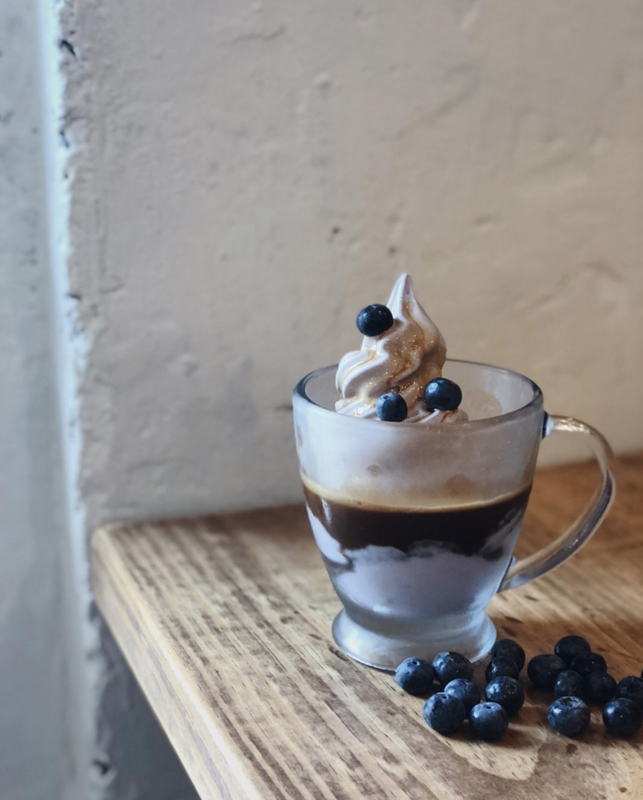 Lincoln’s Haberdashery – The affogato with housemade ice cream and a shot of espresso is a must try. Growler’s Pourhouse – Ask about the the ice cream flavor of the day, made in house in small batches. 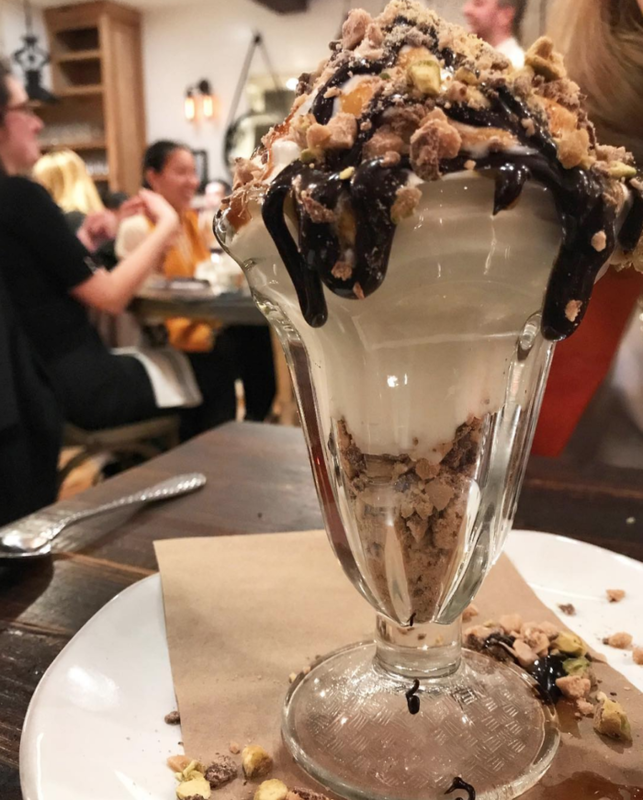 Kid Cashew – The unassuming pistachio gelato sundae seems simple enough but what you get is a towering mountain of gelato dripping in chocolate and caramel sauce and topped off pistachios and candy pieces. 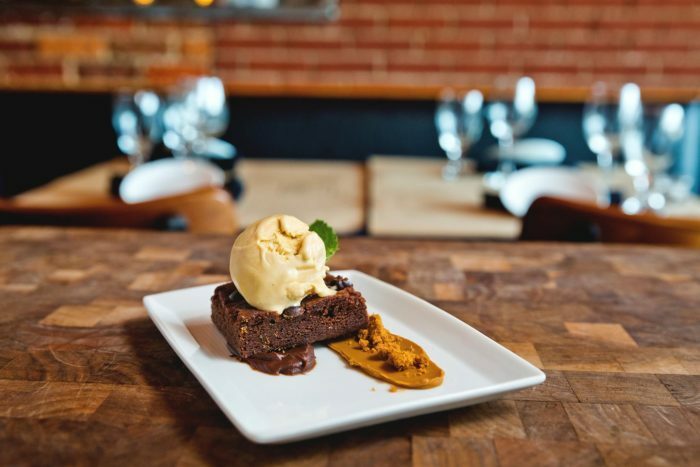 Good Food on Montford – Good Food makes all its own ice cream and gelato to complement different desserts, but it’s the chocolate brownie with homemade Biscoff ice cream that has something of the cult following.